Surf rock is quintessentially Californian. Nothing captures the feeling of spending a day splashing around in the west coast waves quite like it. While surf rock hit its prime in the 60s, its influence has remained a prominent force in modern music. On their new single “You Know It” (released 6/24/16 via RCA Records/Descendant Records), Colony House transports their listeners straight to the beach with their best surf rock impression. For a group of guys from Nashville, they do an extremely convincing job. The jarring back and forth of drums and guitar at the beginning of this track signals an immediate and drastic change from Colony House’s previously well polished, low key sound. They’ve always had a subtle beach vibe to their music, but it is much more apparent and intentional on “You Know It.” Most of the music from their first album, When I Was Younger, is lyric driven and while the guitar and drums are still very present, they are much less prominent. The music rises and falls beautifully, rolling from verse to chorus and back again, much like ocean waves. One second singer Caleb Chapman’s voice is highlighted over a simple kick drum, the next it is accompanied by driving guitar and drums. The flow of music is anything but simple, never following a strict pattern; it is controlled chaos at its finest. This type of diversity makes “You Know It” a fun and interesting listen. About 2 minutes in, the music flows into a guitar breakdown. Of all the components of this song, these 30 seconds or so really bring together the surf rock vibe. 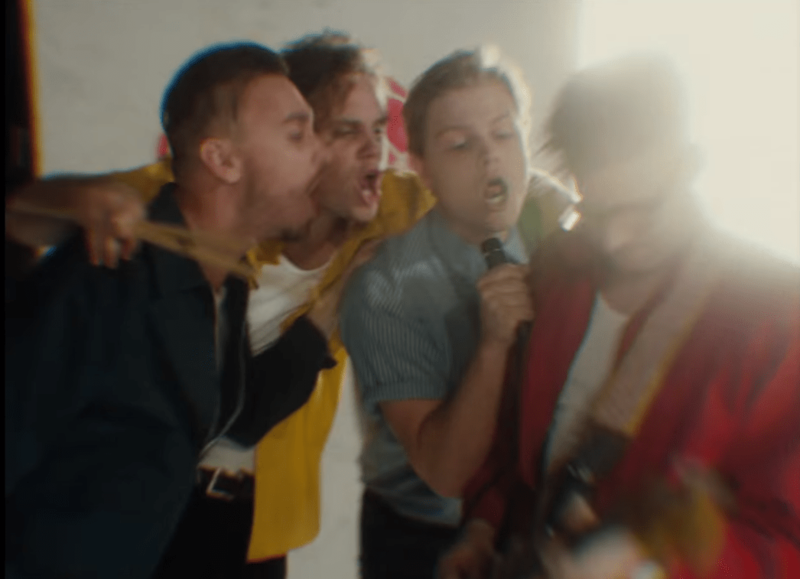 The reverb-soaked guitar breakdown is a cornerstone of surf rock music, and Colony House nails it. The guitars really take center stage as Caleb Chapman sings “you know it” over and over again. It builds until the end of the song, where a short piano breakdown creates an exciting finish to an already climactic moment. The lyrics tell the story of the band’s growing popularity and life on the road. It’s an extremely personal song, diving into the bittersweet realities of touring. Despite the unique and seemingly out of reach subject, “You Know It” boasts a chorus so catchy that it has the ability to engage an audience that has no idea what it’s like to live a life on the road. This balance is not easily navigated, but Colony House does it seamlessly. This song finds their band, and their music, on the way to California. While the goal of any band is to play their music live for people around the country, and eventually the world, leaving behind family and friends can prove to be very difficult. They are a band deeply appreciative of the opportunities they’ve been given to share their music and live out their dream. 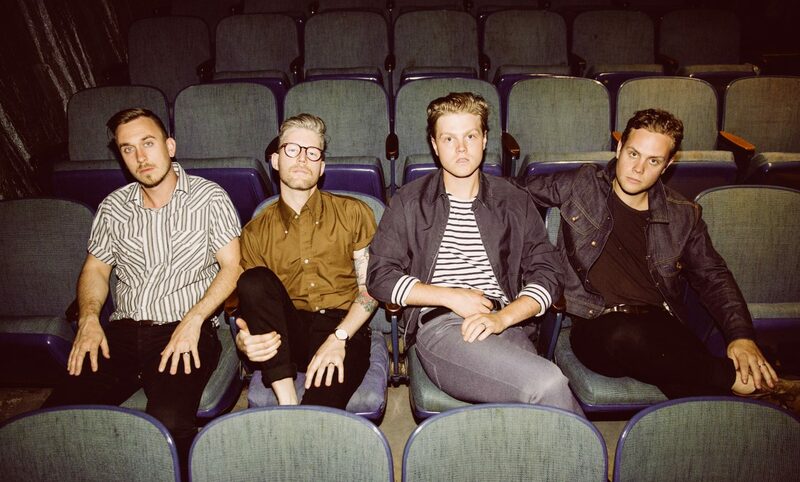 The music video for “Second Guessing Games,” one of the songs off their first album, captures their adventures in different cities and in their van. The joy they feel is so genuine and is highlighted in this video. Their dream has become a reality and while that feels so good, life on the road becomes tiresome and they long for their lives back home. They miss the families and friends they left behind for the sake of the band; it’s time to take a break and return to them. But fans, don’t worry; they’ll be back soon. Being in a band and touring means living the dream but it also means sacrifice. As an up-and-coming band, the guys of Colony House are learning how to balance both the personal and musical sides of their lives. As they find themselves in uncharted territory, it makes sense that they chose to explore a new genre of sound. “You Know It” is a promising first single that demonstrates Colony House’s ability to make personal, yet accessible music all while stepping outside their comfort zone. This song is sure to have listeners coming back for more. Don’t miss out on Colony House’s sophomore album, Only the Lonely, debuting on September 16th!